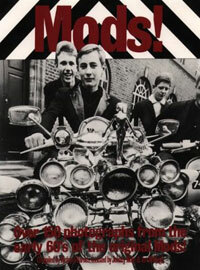 Confused by the ever-growing number of mod-themed books on the shelves of your local bookshop? Help is at hand. Our latest feature on the site is five must-buy mod books. Obviously this is down to personal taste and I’m sure at least one of the list (if not more) will probably be strongly disagreed with. But I have tried to be balanced, choosing a range of books that covers the spectrum – 1960s, 1980s, fact, fiction and academic. Check out the article via the link below – and if you think there’s an obvious omission, leave a comment below. Our feature archive is also available here.